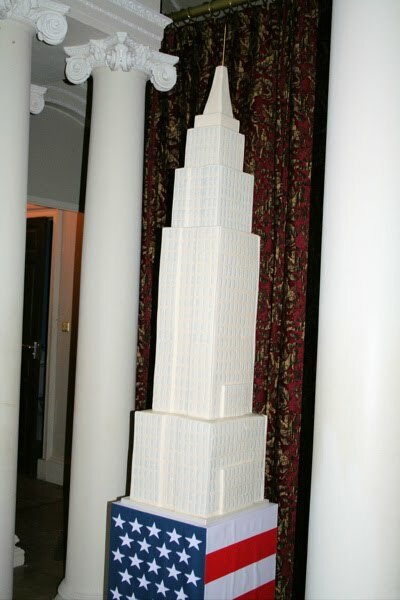 Taking the Empire State Building to Taunton in Somerset has been this January cake decorating highlight for Rainbow Sugarcraft. 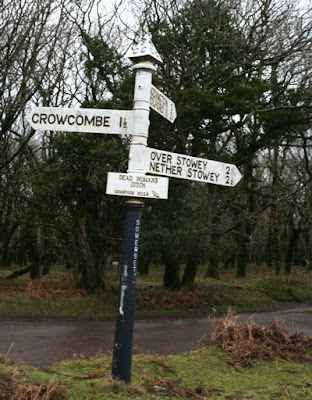 Travelling for eight hours down country the last leg was over the superb countryside of the Quantock Hills. There were some bad omens on the way; a solitary magpie; a black cat crossing our path and a pause to check directions at a sign which was the site of Dead Woman's Ditch. We finally arrived at Crowcombe Court, a beautiful Grade I listed building. With a little careful manouvering the cake was built in towering sections in the magnificent Hall and stood over five feet high. A few finishing touches from the top of a ladder and it was complete. "Following our Wedding in New York with a couple of family members we had planned a party back home in England to celebrate with other family members and friends. We wanted to create an Amerian theme amd what better way than to have a Wedding Cake of the Empire State Building. Following extensive research on the internet we came across Rainbow Sugarcraft who had previously created this cake. All dialogue was carried out through emails or telephone calls and the response was always friendly and prompt. Although we were unable to meet or taste the cakes we always felt confident with their service. And so to the party, Rainbow Sugarcraft had to endure a journey almost the full length of the Country but still undertook the task of delivering a stunning cake. All guests at the party were amazed at the 5ft cake and to top it all the chocolate and lemon cakes tasted fantastic. Thank you once again for your excellent service and amazing cakes. Ben Shaw"